Despite being the hottest London Marathon on record, John Vickery took to the streets of the capital along with more than 40,000 other runners to raise money for Parity for Disability, a local charity that provides essential services for young people and adults with multiple disabilities in Hampshire, Surrey and Berkshire. 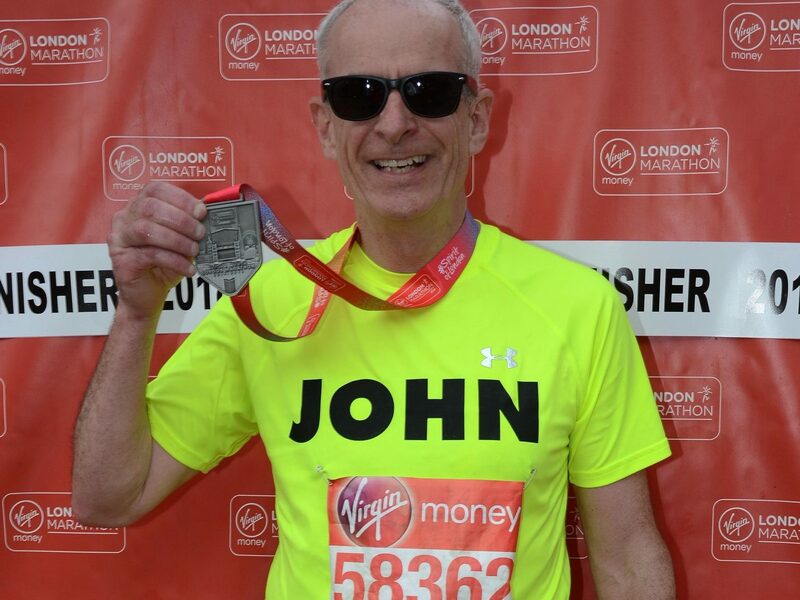 Amid temperatures of around 24C, John successfully ran 26.2 miles in the 38th annual London Marathon race and crossed the finish line on the Mall, just outside the doors of Buckingham Palace after 5 hours 45 minutes. He raised well over £5,000 for his chosen charity. 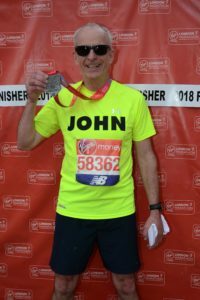 John took up running ten years ago to get fit and has accumulated plenty of medals for both 10k runs and half marathons, but this was his first ever marathon. Parity for Disability provides young people aged 18+ (called students) that have multiple disabilities with opportunities and support. Staff and facilities are equipped to meet the complex care and communication needs of the students, who take part in tailored learning and social activities both indoors and out. Originally providing their first service in a scout hut in 1991, the charity now runs three day centres in Camberley, Farnborough and Mytchett. After visiting one of the charity centres and meeting some of the students over a year ago, John named Parity for Disability as Vickery’s charity partner. To find out more about Parity for Disability and the work they do, please go to their website: www.parityfordisability.org.uk. This entry was tagged Charity, London. Bookmark the permalink.